OLX Philippines, previously known as Sulit.com, recognizes Cebu to be one of country’s major hubs in consumer-to-consumer (C2C) buying and selling online in OLX Philippines Press Briefing Event held at Quest Hotel Cebu, yesterday. The country’s leading buy-and-sell website reveals that Cebuano sellers post an average of 2000 ads for pre-loved items everyday. 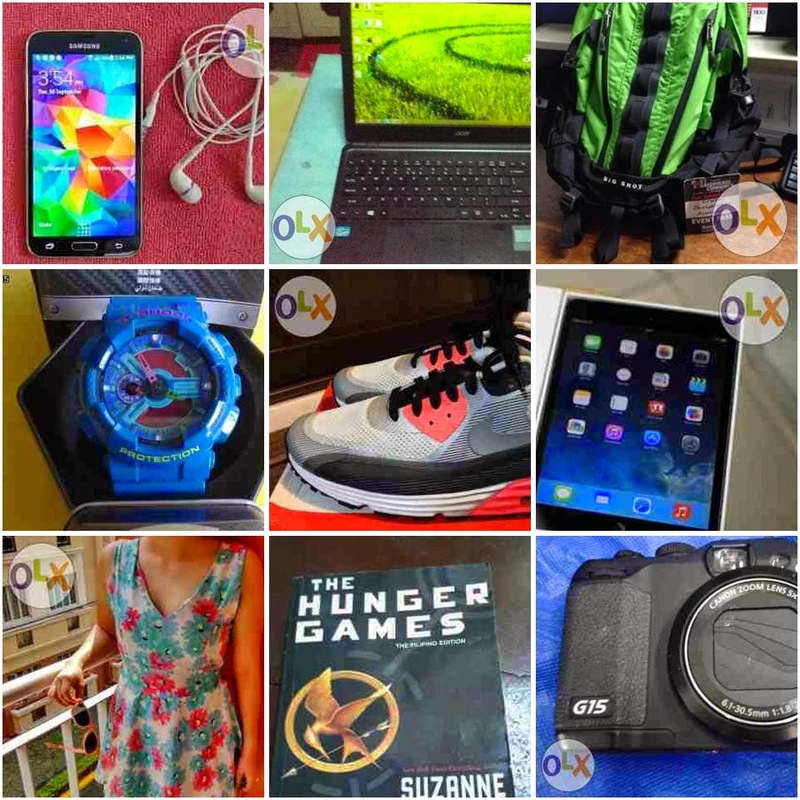 “Since the launch of our “Yesss, Yaman!‟ campaign in Cebu, many locals have joined OLX in buying and selling second-hand items. Cebuanos have finally recognized the potential monetary value of many unused items in their household,” says RJ David, co-founder and CEO of OLX Philippines. 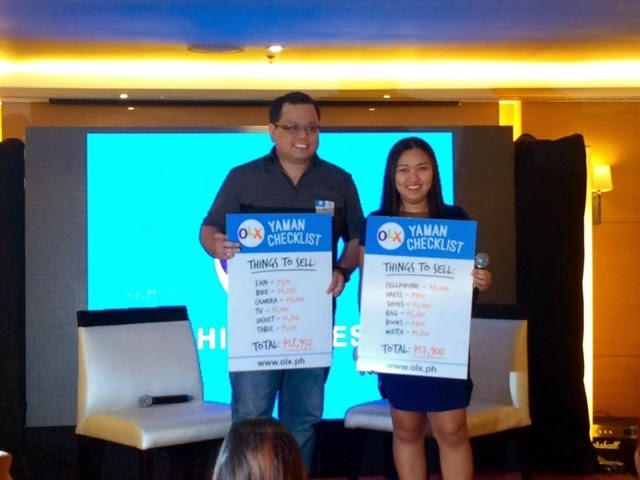 The “Yesss, Yaman!” campaign encourages Filipinos to improve their lives and help them de-clutter homes and earn extra cash by selling second-hand items online. Through this campaign, OLX aims to attract the next 1 million Filipinos to sell online. Cebu’s growing interest in online buying and selling of pre-loved items reflects the Filipinos’ general positive attitude towards online C2C transactions. According to a survey conducted by TNS on behalf of OLX and covering 500 urban households coming from Cebu and Metro Manila (named as the “Yesss, Yaman! Study”), majority of Filipinos who have plans of selling unused items are open to engaging in online selling. OLX has been actively promoting the act of selling and earning from your unused items through the Yesss, Yaman! campaign. With this study, they are putting a concrete value to how much our country can possibly earn if we do sell these second-hand items that are in good condition. If more Pinoys engage in online C2C deals, TNS estimates that these items could fetch as much as Php21 billion when sold. Results show that unused but functional mobile phones can add up to as much as P3.5 billion, clothing is at P1.5 billion while shoes are at P552.4 million. “We believe there’s more untapped wealth sitting in their houses, just gathering dust. With the Yesss, Yaman! Study, we hope to give everyone an idea of the great source of income that they can generate simply by selling items that are unused but still in working condition,” RJ points out. As part of the Yesss, Yaman! Study, OLX is introducing the Yaman Checklist. This helps Pinoys easily identify which of their pre-loved items are in good condition, to list it down, and see the total possible earnings they can get from it. OLX is also launching the Cebuano Yesss, Yaman! music video featuring a catchy tune and starring singer/songwriter and VISPOP 2013 Grand Champion Jewel Villaflores. The video is a spin-off of the Yesss, Yaman! jingle that has been airing on local radio stations in Cebu since September. OLX Philippines offers a fast and easy way for Filipinos to sell their second-hand items online. It is the Philippines’ largest marketplace for buying and selling items of all kinds, such as mobile phones, cameras, bicycles, musical instruments, baby strollers, furniture, cars, property, and gadgets. It is available on the web at www.olx.ph or on the OLX app on Android and iOS phones. The study was conducted by TNS on behalf of OLX, during June to July, 2014. Interviews were conducted door-to-door in 500 Urban Households homes across the country. A random sampling methodology was used to identify the 500 sample across two main cities in Philippines. The sample was distributed to ensure randomness within the cities, as well as geographic dispersion. The sample was spread across both Males and Females in SES ABC, who were most influential in the decision to stock or sell used items from the household. Computer Aided Interviews were conducted, face-to-face, among the selected respondents. The entire process was done as per the rigorous data collection protocols of TNS. The data from the sample was then projected to the Urban population for the estimation of the size of Unused items (which are in good working condition). TNS advises clients on specific growth strategies around new market entry, innovation, brand switching and customer and employee relationships based on long-established expertise and market-leading solutions. With a presence in over 80 countries, TNS has more conversations with the world’s consumers than anyone else and understands individual human behaviors and attitudes across every cultural, economic, and political region of the world. The company is part of Kantar, the data investment management division of WPP and one of the world's largest insight, information, and consultancy groups.